Our canine companions are our best friends. They love us unconditionally. 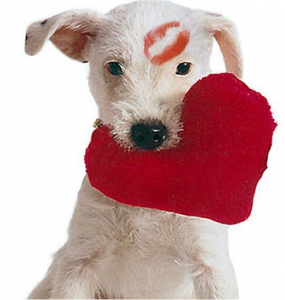 With Valentine’s Day right around the corner, you might be thinking about getting a little something for your four legged friend. 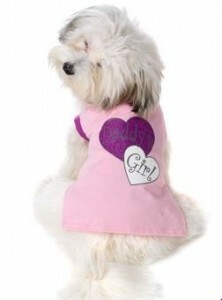 Doggie Couture Shop has many inexpensive gifts that are perfect for expressing your love. If you live in a cold climate as I do, might I recommend that you give your dog the gift of warmth this Valentine’s Day? A dog pullover makes a great gift for dogs on the go! Super cozy, lightweight and warm the “Heart Buttons and Bows Dog Pullover” will have her looking sweet, while fighting off the harsh elements of old man winter. If your dog won’t tolerate being dressed, then perhaps staying inside and snuggling up in her new, warm and cozy dog bed might be just the thing. The “Hearts of Love Pink Fleece Pillow Bed” is so fitting for Valentine’s Day. 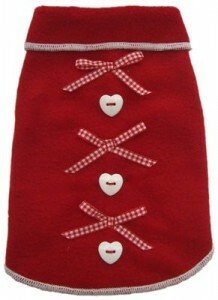 Doggie gift baskets are also perfect for your dog on Valentine’s Day. 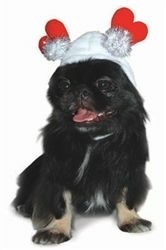 You can make your own basket for under $30.00 with the following products from Doggie Couture Shop. Simple things like a new dog toy also make for a great gift. 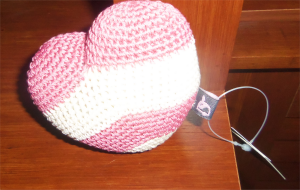 For Valentine’s Day I sent my son’s dog a crochet heart that I found on Doggie Couture Shop. It is handmade with closely-interlaced cotton thread, and comes with a built-in squeaker that will provide Tess with hours of audio-enhanced fun. The toy will also improve her dental health by removing deposits of calculus from her teeth. Measuring at just 3.5 inches across, it was an inexpensive gift to mail. While most of these gifts I suggested are practical and affordable — for the owner that really wants to wow their pooch, Doggie Couture Shop has a aplenty of extravagant gift options. 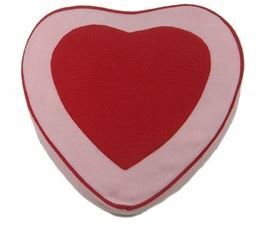 Why not award your dog with a heart shape box of cookies for just $25.00. For $44.00, you can get her a bottle of Emma Pet Fragrance for Her. This exotic fragrance is said to make her more appealing to friends and family. We all know that diamonds are a dog’s real best friend. A Small Snakeskin Diamond Collar in Lavender will only set you back $3,000.00. You could also get your pet that dream house she’s been waiting for. 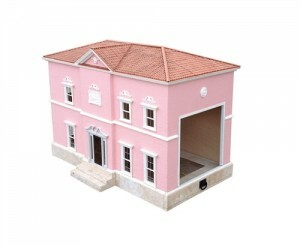 The Beverly Hills Mansion Designer Dog House costs $2,400.00. For those dog owners who don’t have the money to spoil their pets, no worries. Your dog won’t feel slighted if they don’t get a special treat. All they need is your love. If you have yet to meet your four legged companion- now might be a good time to adopt. Doggie Couture Shop is a family owned upscale dog boutique providing you and your beloved fur-baby, the best customer service and the ultimate in dog fashion and accessories. These are some really great suggestions here. Have a nice weekend!